Gold plated heart necklace with an 18" chain. 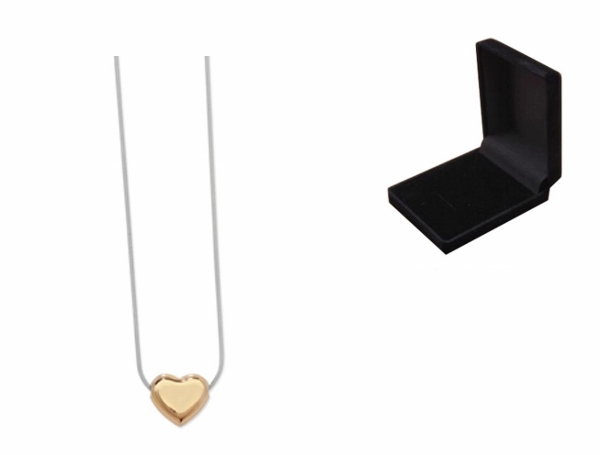 The heart measures 13mm wide and comes complete in a black gift box. Please limit your engraving to initials only as the engraving area is small. Your engraving will be one side only. If you supply us with more than the limit this will delay the dispatch of your order.